Discovering yourself as fast as you can is important because you can plan for the future perfectly matching to your desire and dream job. However, not everyone was born with the main interest and specific life’s goal. 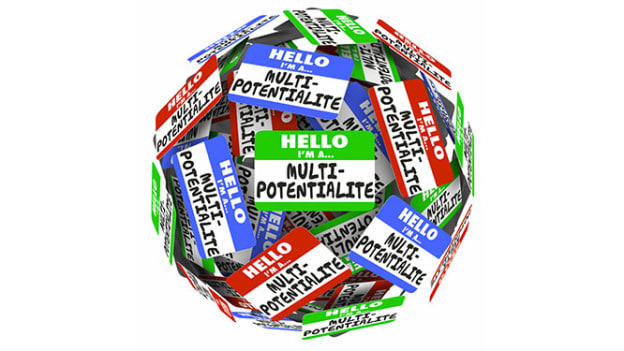 Some people have many aptitudes, being passionate and able to do a variety of jobs and we call them “ multipotentialite”. They seem to have well-rounded skills, but they are more lost in thought that they’re not truly good at anything, even with making a career decision. It becomes the barrier and complexity for the multipotentialites to take a step forward for career shifting. Remember one important thing, you will overcome this issue by having the self-awareness to master the pain points and shift to a career that fits your need and passion more. You don't need to be the best: Some of multipotentialites are scared when they apply for a job that the company actually wants someone who is better than them in terms of particular experience and expertise. But it is different case by case. Some companies are focusing on more of new employees who have the aptitude and passion for the job, and the ones who can fulfill the gap of a company’s problems. So, don’t hesitate to present your ability and determination. Learn to handle criticism: Being a multipotentialite, you must somehow face the experience of people judging you from your wide scope of interests that you don’t have an exact one goal to follow along. Some also might say that you don’t have knowledge in a specific field to be a professional. You have to prove yourself, learning from the experts to get the direct experience and insight information. You can even grow from adopting the criticism to be your guide and overcome it. Don't be afraid to begin doing new things: You will have many turning points from all of your abilities and interests which mean the opportunities for you to have various options to get to try them out. Making a career shift is like starting from zero to get the new milestones. Yet if you’re comfortable to try new things enough, you will discover the long-awaited hidden gem in the different work fields that might be your true dream job or what you’re actually looking for. Remember these three keys of self-awareness to win over the feeling of not being good enough or scared to launch your career shift, especially the ones who are multipotentialite. Accepting that we don’t need to be ‘the best,’ learning to handle criticism and to begin doing new things, you will have new opportunity to brighten up your career future.